We are expecting/planning for some rain and potential power outages. Better prepared than not!! This is one time when we are happy we "tent" camp- have equipment to cook etc. and of course, coffee in the am!! 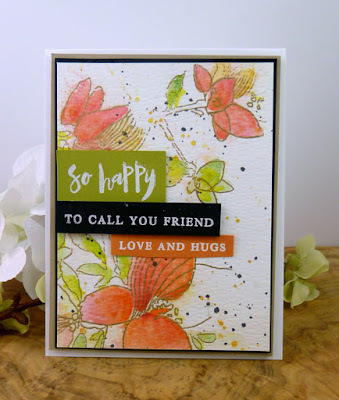 This week we are playing with Red, Orange, Kraft,and Green! So, this WE I had a chance to start "getting to know" my Altenew watercolors. I did a bit of messy watercoloring!! Once you’ve finished your card or other paper-crafted project, add a direct link to your creation using the Inlinkz tool at the bottom of the Color Throwdown post. 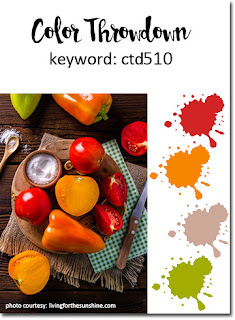 And, don’t forget to use the keyword CTD510 if you upload your project to an online gallery, or hashtag on social media with #ctd510 and/or #colorthrowdown.